The Moorfields Eye Hospital website gives information about a wide range of eye conditions. It also gives links to other useful websites and information leaflets. 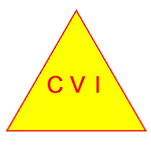 The Cerebral Visual Impairment Society website has lots of information about CVI, including strategies to help people with CVI. Parents have also written stories about they and their child’s journey with CVI. Watch the innovative film by teenager Alfie Fox that gives us all an insight into how his world appears to him on the CVI Society website. Nystagmus Network is “the leading patient information, support and scientific research charity for Nystagmus in Europe”. Click the link below to visit the site. Please look at the link below for information on the Scottish Sensory Centre website about a variety of eye conditions.